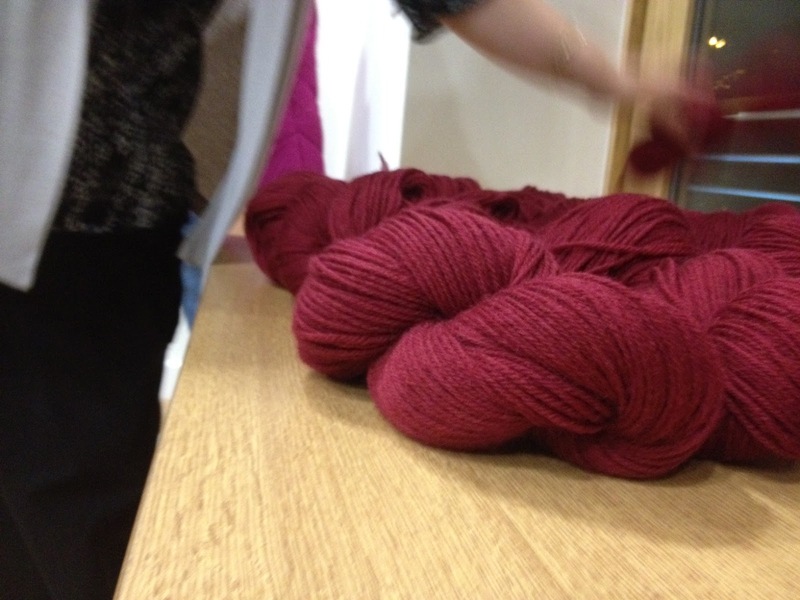 After a great talk from our resident knitter Rebecca Land Cave, and a brief how to knit video we all were matched up with qualified knitters. Alison Bartram and Gemma Carlisle! Others worried about continental technique and dropped stitches, some wondered what the fuss about knitting was as crochet is much easier! Since the meeting a great debate has opened up about the width of scarves (apparently size does not matter! 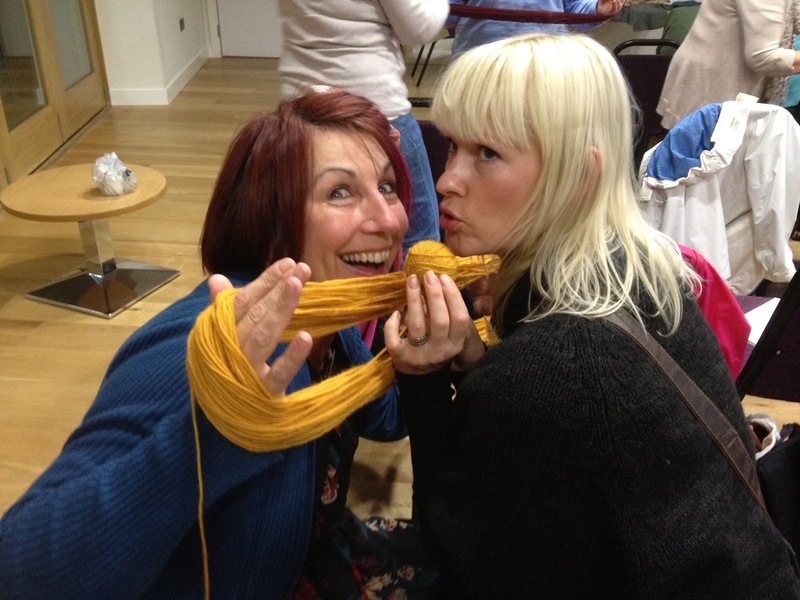 ), with many members getting really into their knitting, taking it with them to badminton and even the dentist! There are groups for those that are addicted at the Nelsons/Hole in the Wall on a Thursday at 7pm and Ribbon Circus one Sunday and Friday a month (details on the website). Hopefully in time for our next meeting will have 25 lovely scarves for Hebden Bridge Brass Band, with the wool sorry yarn donated by one of our members Kath Jackson owner of Jacksons of Hebden Bridge.